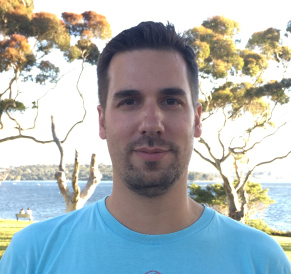 We are shining the AEpiA spotlight on Dr Ozren Bogdanović from the Garvan Institute of Medical Research in Sydney. In February of this year, Dr Ozren Bogdanović moved to Sydney to set up his own lab, the Developmental Epigenomics Laboratory at the Garvan Institute of Medical Research. Ozren, who hails from Croatia, first moved to Australia four years ago, to work with Prof Ryan Lister at the ARC Centre of Excellence in Plant Energy Biology, at the University of Western Australia. Over these past four years, Ozren has made a significant impact on Australian epigenetics research, and on the field of developmental and evolutionary epigenomics. His achievements have been recognized with a number of awards: in September 2016, he received the UWA Vice-Chancellor’s Early Career Investigator’s Award, and earlier this year he received the Millenium Science Award at the 2017 Lorne Genome Conference, as well as the Raine Research Prize from the Raine Medical Research Foundation. The Raine Research Prize is awarded annually for the best scientific paper arising from research undertaken by an early-career medical research scientist in WA. Ozren received the award for his publication in Nature Genetics in 2016: Active DNA demethylation at enhancers during the vertebrate phylotypic period. This work compared DNA methylation profiles in zebrafish, frog and mice embryos, and the findings suggest roles for Tet proteins in demethylating conserved gene enhancers during the phylotypic stage of early development. Ozren says that he particularly enjoyed working on this study, as it was a collaborative effort between the Lister Lab and his former colleagues in Spain, where he performed prior post-doc work with Jose Luis Gomez-Skarmeta and Juan Ramon Martinez-Morales, and in The Netherlands, where he obtained his PhD under the tutelidge of Gert Jan Veenstra. Ozren has brought his expertise to other international collaborations: he contributed to a study led by researchers in USA and Japan on the evolutionary genomics of the frog Xenopus laevis, which was published last year in Nature, and to to the very recent and exciting German-led study on histone marks and transgenerational epigenetic inheritance in Drosophila, which was just published in Science this month. At the Garvan Institute, Ozren is building up his team, with the primary goal of elucidating the epigenomic mechanisms of development and disease. Ozren has long understood the importance of using different model systems, and how diverse organisms allow us to study how regulatory complexity is generated. At Garvan, he is using zebrafish to study DNA methylation. He says that his interest in DNA methylation stems from the fact that it can be stably propagated through cell division, and that this epigenetic memory appears to play a vital role for processes such as cell differentiation and cell reprogramming. Ozren’s team plans to use genome editing technologies (CRISPR/Cas9) in combination with next generation sequencing to investigate the role of DNA methylation in embryo development, tissue differentiation and cancer formation. The Australian Epigenetics Alliance congratulates Ozren on his many achievements to date. We look forward to hearing more from him at Epigenetics 2017, our flagship conference, in Brisbane later this year, where he is one of the speakers on the program.